Have you ever seen the abbreviation ‘w&t’ and wondered what it stands for? Or perhaps you know what it means, but you’re not quite sure how to do it in practice? 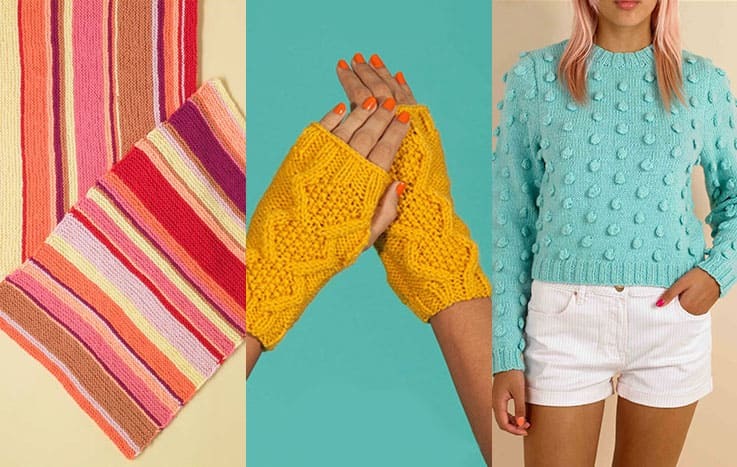 Here, expert knitter Amy Kaspar makes everything clear. 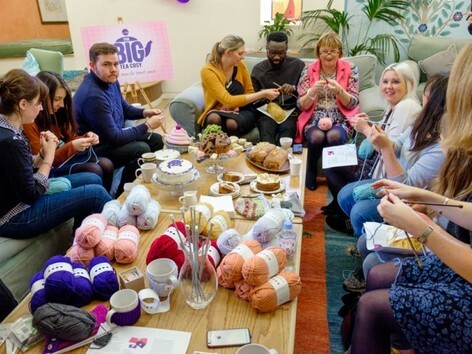 However, it actually stands for exactly the direction it calls for; ‘w&t’ in a knitting instruction is telling you to wrap a stitch with your working yarn, and then turn your work. 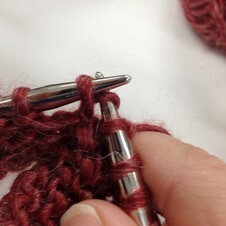 It is the technique that closes any holes caused by working a short row, or not working an entire row before heading back in the other direction. 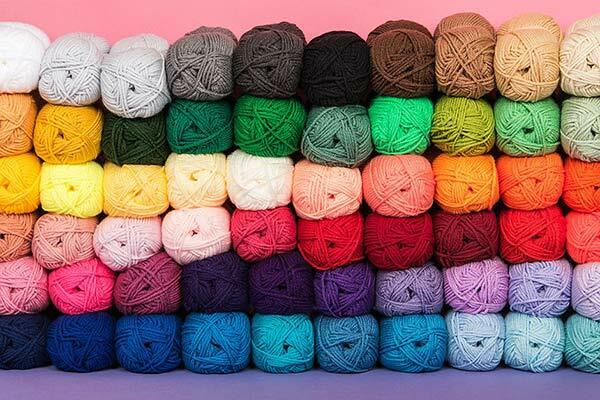 Short rows are commonly used to shape heels in socks, the crowns of hats when they are knitted sideways, darts in jumpers, shawls which are knitted from the outside in… basically they are used anywhere that flat fabric just won’t do it, and the stitches need to change direction. What stops people from trying a ‘w&t’, I think, is that the direction just looks so darn scary. Either that, or it just does not make sense as written. So let’s break this down, shall we? 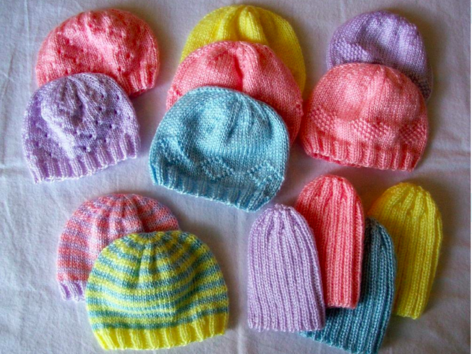 An example; k8 sts, w&t, means you knit eight stitches, then wrap and turn the next stitch (what would be the ninth stitch). Remember to count your stitches! Yarn forward. 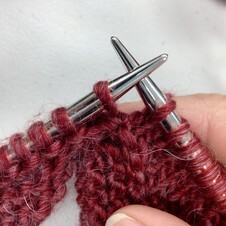 When you reach the stitch to wrap on the knit side, bring your yarn to the front of your work between the tips of your needles, as if you were switching from knit to purl. Then, slip that next stitch, the w&t stitch, from your left needle to the right needle as if to purl. Yarn back. 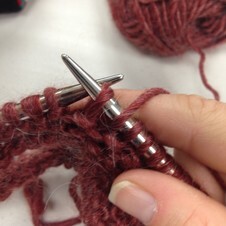 Bring your yarn back between the needle tips to the back of your work. This is where things feel a bit tricky at first. Here is what the set-up looks like with your yarn in the back. Slip stitch back. Slip that stitch back from the right needle to the left needle, again as if to purl. 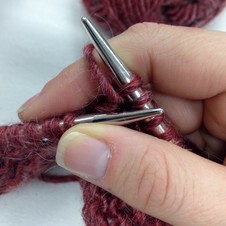 Make sure your left needle is poised over the wrap, so you choke the stitch with your yarn. Turn your work around. 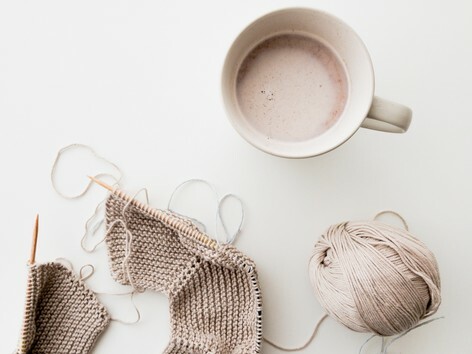 Your yarn should be coming out of your knitting between the first and second stitch on your right needle now, instead of dangling from the last stitch you knitted. Success! And doing it on the purl side is exactly the same, but with the yarn swapping in the other direction: Yarn back, slip stitch, yarn forward, slip stitch back. Done. Except w&t is a two-step process. That wrap actually gets knitted along with the stitch the next time you encounter it. If you do not knit the wrap, it is not the end of the world; you will just have a slight hole and a slight bump at that stitch. 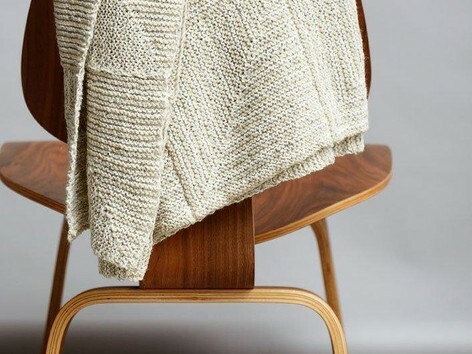 Some patterns actually use that as a design element, but more often than not, you knit it. Work to the wrap. When you encounter the wrap, you should know it when you see it. 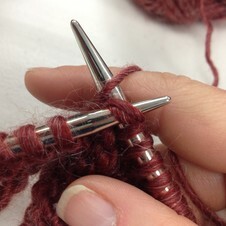 There will be a slight gap between stitches, and the stitch will look longer on the needle. See the gap? Pick up the wrap. 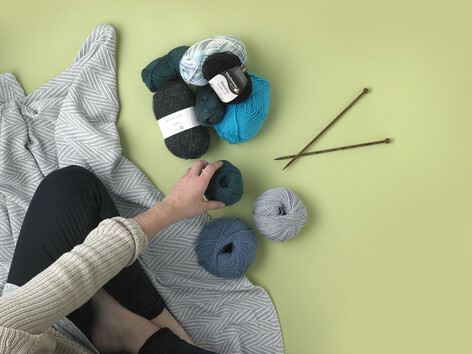 Just lift the wrap by inserting your right needle into the wrap (be careful not to bring up the actual stitch), plop the wrap next to the stitch on the left needle, and then knit the two together. If you are on the purl side, lift the wrap and purl the two together. It looks weird, because the wrap is oriented differently than, say, an M1 or a picked-up stitch. But it works. This is what picking up the wrap looks like. k2tog. You will have a slight loop similar to a normal k2tog on the back of your work, but that disappears on the next row when the stitches relax a bit. Work the remaining short rows. When you are finished, you can see that the wrap-and-turns are pretty much invisible. Notice how the garter-stitch ridge is on an angle, but the stocking stitch panel is flat? That was done with short rows, right along the garter ridge. 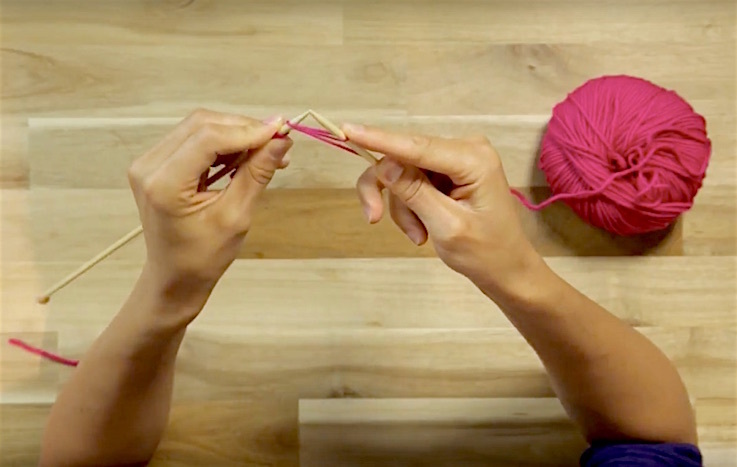 No holes, no gaps, and no big bumps from wrapping the yarn around the stitch. 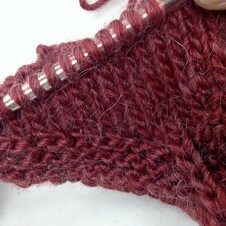 Short rows are worth practicing on scrap yarn before diving into a knitted piece. 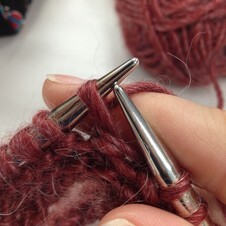 Problems you may encounter are remembering to keep the needle tip above the wrap when slipping the stitch, or not pulling your yarn to your normal tension on the first stitch after the wrap. Once you do three or four wrap-and-turns, however, you will find the technique pretty darn easy. 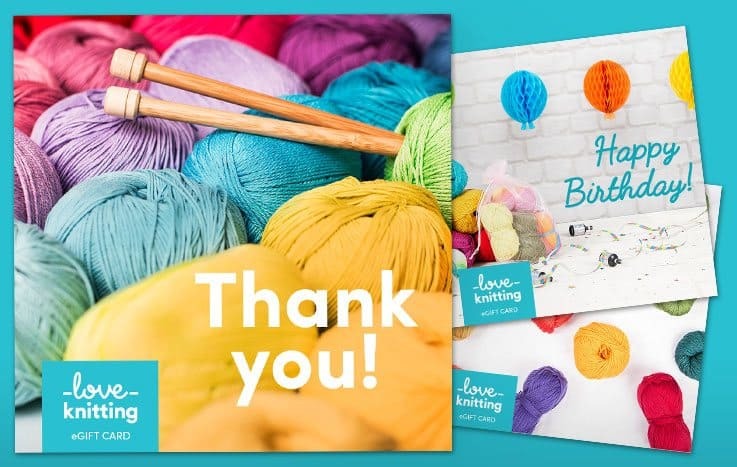 Remember: Seven year-olds can be taught to knit. If they can get it, then so can we. You just have to go crazy and try something new in order to get it right.